Summertime is always a fine time to catch a band who’s on the road. Touring bands and show-goers alike enjoy moving from one hot box to another, all in the name of live music. On a hazy summer night here in North Carolina, I went to one of my favorite hot boxes, a local metal dive on Maywood Avenue aptly named, “The Maywood.” The Maywood was hosting the classic Maryland doom band, Iron Man, whom I had never seen before. For a lot of us, Iron Man was a band who was more heard-of than actually heard, so I was happy to finally check them out. 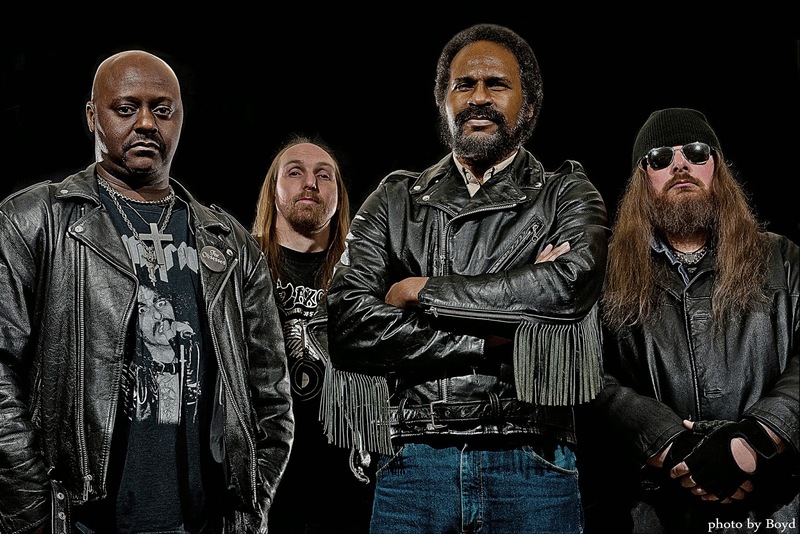 Biker-sized frontman, “Screaming Mad” Dee Calhoun, joked about the band being composed of “two brothers and two crackers”, (meaning himself and drummer, Jason “Mot” Waldmann, as the representative white southerners, and bassist Louis Strachan and guitarist, Alfred Morris III, as the African American quotient). 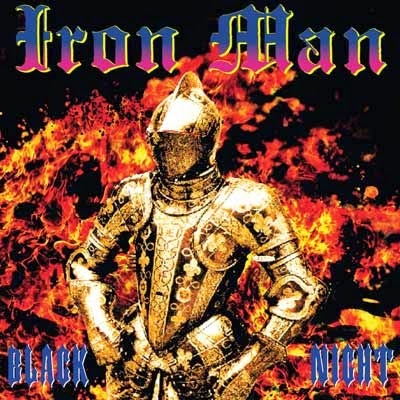 Iron Man started as a Black Sabbath tribute band in 1988, but soon after began writing their own brand of Sabbath-influenced material, quickly joining the ranks of world renowned Maryland heaviness. The band’s lineup has changed many times throughout the years, but there has been one steady constant. 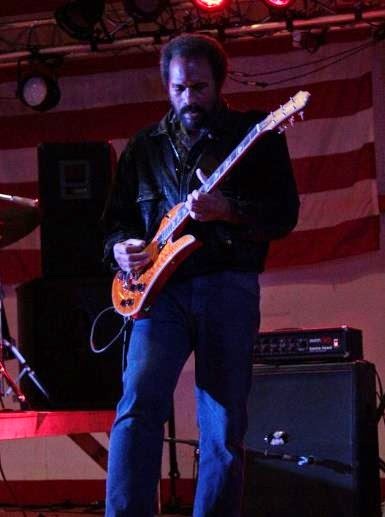 Guitarist, Alfred Morris III. That night in Raleigh Alfred was donned all in black. A tall, thin man with a proud, silent presence. For most of the downtime before their performance Alfred kept to himself, seeming perfectly happy to leave most of the talking to Dee and Louis. 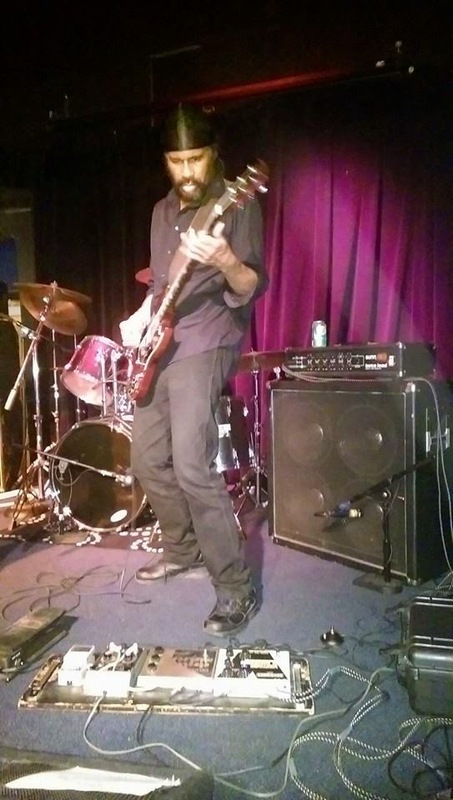 However, once he climbed onto the stage and plugged his Gibson SG into a chain of vintage guitar pedals and a 1979 Sunn Beta Lead, all eyes were immediately on him. Out of all the Sabbath clones in and around the metal scene, both locally and worldwide, I had never heard such an authentic, Iommi-esque guitar tone, (and that includes the time I saw Black Sabbath in the early ‘2000s during an Ozzfest). Alfred lit the stage ablaze with the doomiest guitar sound this side of “Master of Reality,” bringing all the Sabbath lovers into a headbanging frenzy, while still adding his own flavor to the Iommi formula. The band charged through a pounding set of classic Iron Man material, like “Black Night” and “The Fury,” as well as newer songs from their comeback record, “South of the Earth.” In short, they blew the roof off the joint. I called Al a few days after their show. He was in the middle of looking up classic Sabbath footage on YouTube, a favorite pastime of his, (the Don Kirshner footage was the choice selection during the time of the call). Alfred was affable, mellow, and more than happy to share stories of his early days as a young guitarist when he began to learn the secrets of the masters. He was a young Maryland kid who knew something special was happening, not only in the burgeoning hard rock scene throughout the world, but also in his own backyard. 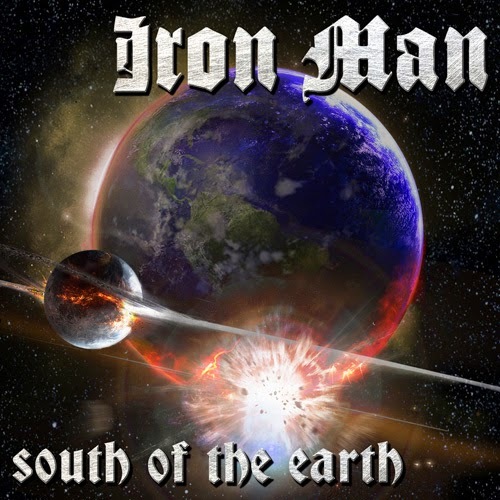 Alfred continues to embrace the music he loved as a kid in the ‘70s, and if Iron Man’s recent performance in Raleigh is any indication, there is little to no chance that we’ll be hearing an end to their classic doom sound anytime soon. ES: So after seeing your recent performance here in Raleigh, it’s obvious you’re a guitarist who’s well schooled in the great heavy bands of yesteryear. Who were your favorite bands growing up? Obviously Sabbath? AM: Well, Sabbath came later. Cream, Yardbirds, Steppenwolf, Mountain, the Amboy Dukes, that was the kind of stuff that was first hitting it with me in Maryland, but once I came upon the “Master of Reality” album, that was it! Especially when I heard the song, “Into the Void,” like when he breaks down into that solo. I was like, “Man, that cat sounds like Hendrix!” I was just like, “Wow.” And then I started backtracking. I was like, “Well, which album is this?” Everyone was like it, “It’s the new one, the third one!” “Well, then I need to hear those other two!” Haha. ES: So you liked a lot of heavy psych. Were you also a Blue Cheer fan? AM: Yeah. All that stuff that was out back then, you know? 1964 was the Beatles and the Stones. Then that whole period there between ‘64 and ‘70, those were my growing years right there. That’s when I was first started grabbing the guitar, kind of figuring stuff out. It was kind of a prime time to learn guitar because you had all the masters right there: Jimmy Page, Jeff Beck, Jimi Hendrix, Leslie West. It was a sound explosion and I was right there soaking it up like a sponge. I think the advantage for me with Hendrix and Iommi was that they were left handed and I was right handed. So when I watched them on TV it was like looking into a mirror and figuring out where to put your hands, and I was kind of picking up on that. I was like, “Cool! Okay, it looks like he’s going right here!” Unfortunately, the way technology was back then, you had to grab the needle on your record player and keep putting it back, haha. That was a blessing later on, but for that time I had to pick that needle up and keep putting it back, going, “What was that part? !” haha. I would just play on my little amp until it sounded close to what they were doing, and I was like, “Okay, I think I got it.” I had to wait for the radio to play the song sometimes. I’d grab my guitar real quick and play in unison with it. That’s how I taught myself. ES: Like I was telling you the other night at your show, I have never seen or heard a player who has Tony Iommi’s sound dialed in as well as you. Mind giving us a breakdown of your equipment? AM: Yeah, the whole chain starts with a 1973 Gibson Standard. That was as close as I could get to the old Monkey SG that Tony used. That goes into the Crying Tone wah-wah pedal, which is made by Electro Harmonix, and I picked that because when I saw Sabbath I was right in front of Tony’s feet. He had the sky blue, Tychobrahe wah-wah, and it was big. It had a bigger, wider sweep. And I said, “I’m not getting a Crybaby. I’m getting something else!” The years went by and I used Crybabies and the Vox wahs, but Electro Harmonix has this wah-wah pedal called The Crying Tone. I looked at it and said, “Oh, man! This is that wah-wah just like Iommi’s! I’ve gotta get it!” It has a lot of different features on it, you know, a lot of different tones. It has the exact sound that I wanted, especially for playing “A National Acrobat” or “Electric Funeral,” something like that. So it goes from the SG into the wah, and then into a Boss seven-band EQ. The EQ goes into the Uni-Fuzz, and the Uni-Fuzz goes into the Electric Mistress flanger. And the flanger goes into–well, I have two Electo Harmonix Deluxe Memory Man pedals, but they’re both down. Luckily, Beheringer makes a copy of that called the Time Machine. It’s an exact copy of the Deluxe Memory Man. So that’s the last piece of the chain, and I split it out into the amplifier, (a 1979 Sunn Beta Lead). ES: It was a wonderful guitar tone, man. I could have listened to you play all night with that tone, I swear. AM: Ha! Thanks a lot, man. 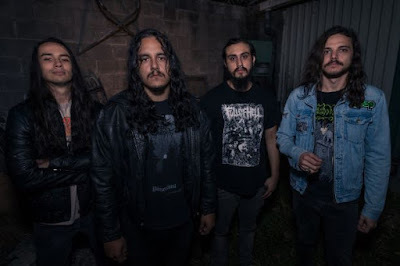 ES: So, Iron Man is now considered to be a classic doom metal band, often mentioned in the great company of bands like Pentagram, Trouble, and Saint Vitus. The doom sound has evolved a lot throughout the years, with guitars being tuned way down to C, guttural vocals, that kind of thing. Are there any doom bands around these days that stand out to you? AM: Well, besides those, you had the ones from across the pond, like Cathedral and Electric Wizard, stuff like that. They’re all great bands to me. Of course, at the top of the heap you have Sabbath, haha. And they’re not really a doom band, but they have a couple of doomy songs. That British band, Budgie, was a great influence on me also. A lot of different moods with Budgie. ES: I really like that you guys are from Maryland, because Maryland is home to a lot of great heavy bands. 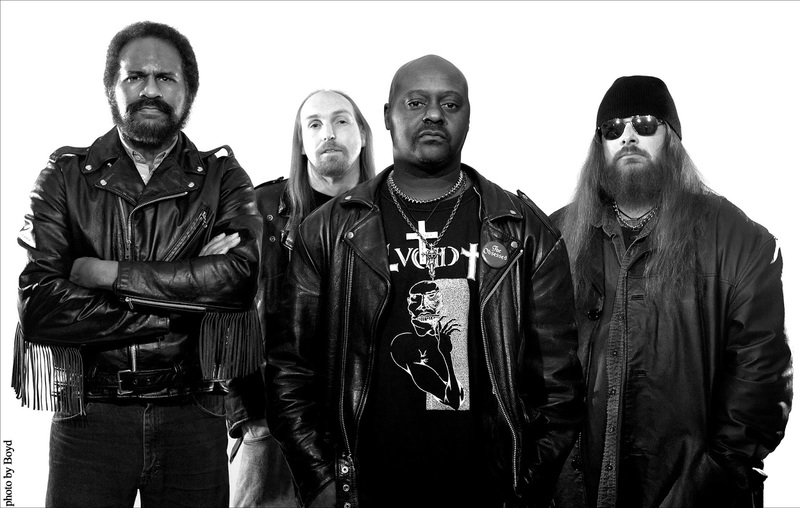 You have Wino’s bands, like The Obsessed and Spirit Caravan, but also a lot of stoner rock groups like Clutch, Earthride, and Sixty Watt Shaman. Any thoughts as to how there ended up being so much talent out of that area? AM: I don’t know, man. I guess it’s just like it was for San Francisco back in the ‘60s. I think it’s just the angel of rock flies over these places and stuff starts happening. It’s like how you had a lot of stuff coming out of Seattle, and then you had a lot stuff coming out of New Orleans, then Maryland and New York. I don’t know what it was. One thing for sure is that we were in the touring track for all major bands. We had the Capital Center which caught every major thing coming through, you know. They would come in from overseas, land in New York, hit the Garden or the Civic Arena, the Philadelphia Spectrum and then come down. The next one was the Capital Center right there in Maryland, you know? Boom, and they’re on. They’d swing on over to the west coast. I think that had a lot to do with it. We were just so exposed to the people who made that music. That was the place where everybody hung out, the Capital Center, and I was right there. My first show there was February 19th, 1974, which was Iommi’s birthday, and I stood right in front of him because it was general admission. No seats on the floor. I was right there hugging the stage! Haha! ES: Sounds like you guys had it all right there, and that you all fed off one another. So much great music coming out of there. AM: Oh, man. It was great. ES: Baltimore is kind of looked upon as being a central city up there in the Maryland scene, even though not all the bands are from Baltimore proper. One thing I always thought was interesting is that Baltimore is typically thought of as being a tough, gritty city. And with Sabbath, they were from Birmingham, and a lot of folks always had the theory that Birmingham, as an industrial city, was a big influence on Sabbath’s sound. Or like Detroit. Detroit was a tough, blue collar city and it had a lot of influence on bands like the Stooges and Alice Cooper. ES: Yeah, the MC5 of course. My favorite! AM: Oh, my god. I tell you what, man. When people starting seeing the MC5, everyone was like, “Damn!” If you’ve never seen any footage of them, they were on fire, man! Yeah, Detroit had some stuff coming out of there in the ‘60s. But Baltimore and Birmingham? I guess they are similar cities. I think it might have been a little tougher in Birmingham. But yeah, I think you’re right. I think the mood and the atmosphere makes things conducive to the writing. Slower, plodding, stuff like that. I guess Maryland would be like a multi flavored ice cream cone. You’ve got a piece that tastes a certain way from Baltimore. You’ve got another piece that tastes a certain way from Frederick. You’ve got another piece that tastes a certain way from Rockville. I think it’s just a multi flavored area. ES: Definitely some great music from there. You were talking about that dark, plodding sound. Generally speaking, most heavy, dark bands enjoy non musical influences like horror movies, pulp novels, trashy pop culture type things. I’ve noticed there’s a track on your new record, “South of Earth,” that mentions H.P. 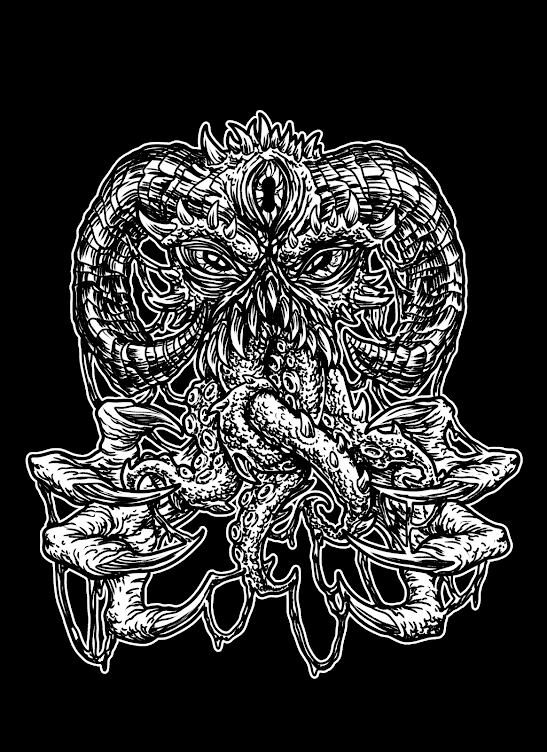 Lovecraft’s classic demon, Cthulhu. Do horror culture things influence your songwriting at all, or do you like to leave lyrical things up to your vocalist, Dee Calhoun? AM: Yeah, that’s what we do. We leave the lyric writing up to the vocalist. My influences are purely musical, like I said, from ‘64 and on. For moods and stuff like that, that would be more translated into the lyrical side of it. For most of our material, we’ll make a riff and that will inspire the vocalist to write in a certain way. The riffs will inspire Dee to write whatever is inside of his heart and inside of his head, and if it happens to trigger some Lovecraft or any well known writers like Stephen King, it will come out in his lyrics. He’ll be inspired to write in that vein. Of course we’ll also add on life experiences and stuff like that. ES: At your show the other night Dee announced that it was the band’s one year anniversary of signing with Rise Above Records for European releases and Metal Blade Records for America. I’d imagine it feels pretty good being back in action. What’s your fondest memory of the past year? AM: Well, you caught us right after a great memory because we played the Castle of Doom in Italy! ES: Dee had mentioned that to me. It sounded amazing. AM: Oh, man. It was incredible. I’ll tell you. They treated us like we were kings, man. It was fantastic. I’m at a loss of words, really. But the best and greatest thing about being signed to a proper label like that is you’re flying here and you’re flying there. We did the 25th anniversary show of Rise Above in London, England. We were there for like four days. It was a two day show. So yeah, we’re doing a lot traveling, reaching out to a lot of fans, hearing from different countries. It’s just incredible. We can’t wait to get over to Turkey and Greece, or India. We’ve been hearing from everybody. Japan, we got to play with our labelmates, Church of Misery. They said, “Man, we’ve got to tour Japan together.” We’re all labelmates, buddies. We all respect each other. ES: That would be so many doom lovers’ dream to see that tour. I look forward to that myself. AM: Yeah, right around the corner! It’s coming. ES: Regardless of all the line up changes throughout the years, Iron Man has been going strong for several decades now. Do you remember the first show the band played where you felt you had a good thing going on? Do you remember where and when that was? AM: Well, it depends on which one because Iron Man started as a Black Sabbath tribute. Are you talking about that, or as a recording artist? ES: Either way. I’ve played in cover bands where I’ve had just as glorious of an experience as I’ve had with my original bands. So whatever your first favorite live memory is from the start of this band. AM: I think just getting it off the ground and playing an actual show, which was in August of ‘88. That was a good feeling. We walked in, and I think there was an opener. But when we came on there was about 75 or 100 people there. It was a good feeling. They had never seen us or heard us, but because we were a Black Sabbath tribute, they came out and showed up and we played pretty good that night. But during that time also, I was always thinking that we’d write original music, you know? We weren’t just going to go out and headline as a Sabbath tribute. We were going to write our own stuff and see if we could get signed. It always seemed like a good way to do it, you know, do the tribute and then write your originals. We were into the Sabbath vein, and also the New Wave of British Heavy Metal, you know? I like music that moves sometimes too, moves at a quick pace and lets people rock a little, and then add it with the heavier stuff. That’s what we were going for. So yeah, I guess just remembering the first show we did getting the band off the ground, and then this recent show we did in Italy. It was just incredible. ES: Thanks for sharing those memories. Whenever I see a guy who plays guitar like you, I like to ask do you prefer recording in the studio where you’re given the chance to tinker around and experiment, or do you prefer playing live and raw? AM: They’re both rewarding. It’s cool in the studio because you can create that piece of art. But then it’s cool too to go out and play live and get that response from human beings. You bounce off them and they give it back to you, you know? They’re both golden opportunities. ES: Anything we can expect from Iron Man in the coming year? AM: Right now we’re probably three quarters done with new material for the next thing, 10 or 11 songs. Then we just wanna practice the hell out of it and ingrain it, and then when we go to the studio we’ll get that power. The thing starts to become a monster after you put all those parts together. A lot of touring things have been thrown at us. We’ll probably go through Canada, and I anticipate the west coast coming at some point. Never been there. I’ve been as close as Las Vegas and that’s it! ES: I think they’ll love you out on the west coast. Lots of metalheads out there! AM: Haha, yeah. And they’ve been waiting a long time! ES: Anything else you want to add or mention? AM: We love our fans. They’re the best. They treat us like gold. We love talking with them and going over history with them, and we love it when they talk about our songs with us. It’s just a fantastic experience. I can’t wait to record the new CD, and I can’t wait to see you on tour!